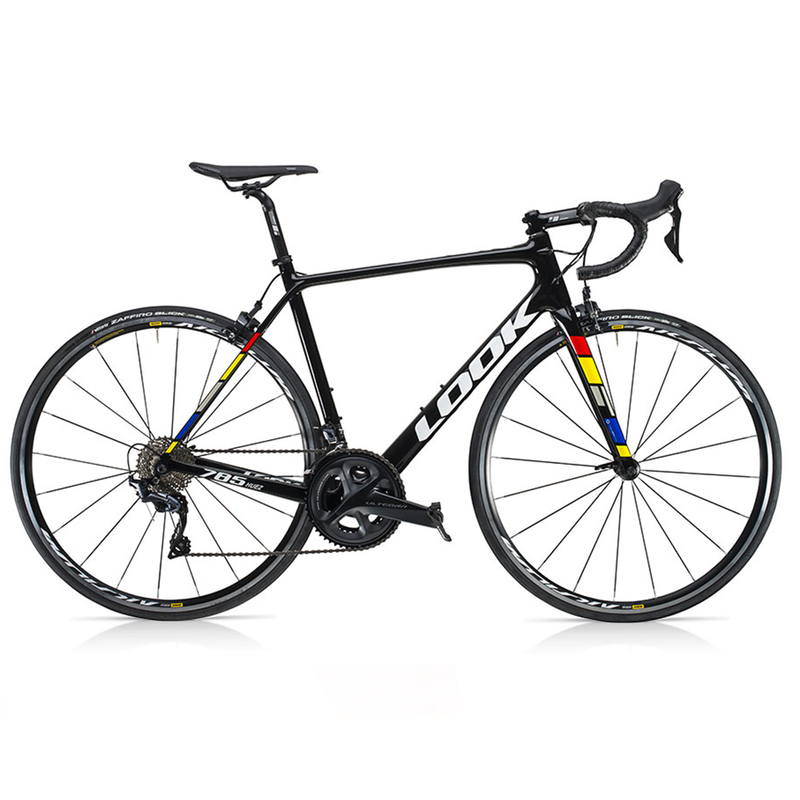 The Look 785 Huez is a superlight carbon road bike designed for competitors and passionate cyclists alike who are looking for an efficient, comfortable and versatile road bike. Equipped with a 100% carbon tapered down tube and bottom bracket shell, pedal power is transferred to its maximum. Ultra-slim seat stays contribute to rider comfort, and a 27.2mm seatpost, strategically chosen for its flexibility properties, enhances that comfort even more. The 785 Huez’s precise handling and stability are assured thanks to its rigid fork and head tube. This is especially important for a bicycle destined for the mountains because the fact that it climbs well is not enough. It must also be and feel safe and reliable when descending. 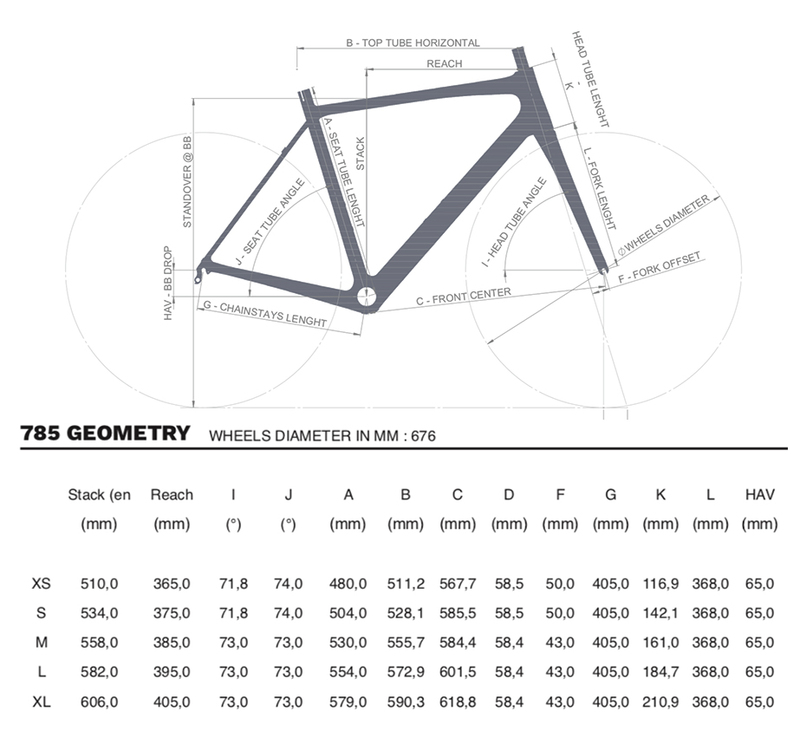 The Look Huez 785 is a variation of Look’s 785 Huez RS, from which it directly takes it shape. Made from the same mould, this version benefits from all the optimisation research, but is constructed from a different blend of carbon fibres. Light, rigid, stable, and comfortable, the 785 HUEZ is a phenomenally versatile bicycle. It not only climbs well in the mountains, but is also highly effective on the flats, long distance rides in rolling hills and is great for anything short and fast, like criteriums.